Private setting family home on a dead end road. 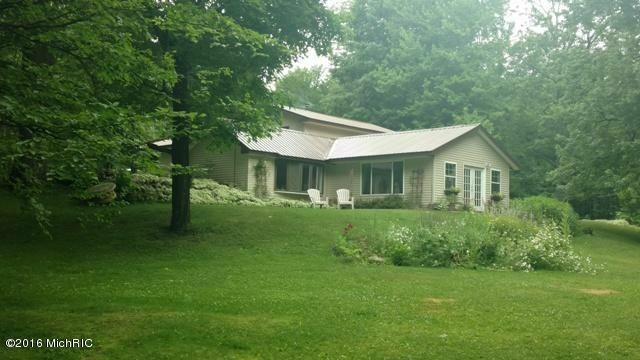 3 bedrooms, 2 baths on 4+ acres. Many updates which include completely remodeled kitchen and new metal roof. Lots of natural light with large windows and skylights makes this home very inviting. Includes 2 sources of heat - propane and a wood stove which heats the whole home during the long winter months. Beautifully landscaped with a pond and waterfall. Attached 30x32 2 stall garage. Storage shed with new metal roof, lights and electric. Large walk in closets in master along with a master bath that includes a whirlpool jetted tub.